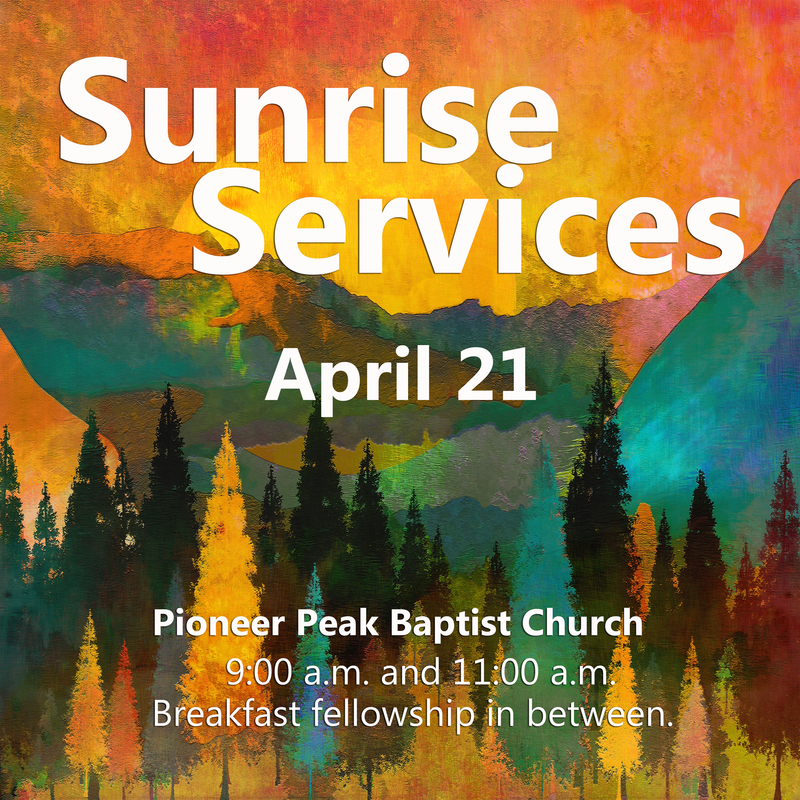 Our Easter Services will begin with a Sunrise Service at 9:00 a.m. on Resurrection Sunday with a special breakfast to follow. The early sunrise service is a special reminder as we reflect on the discovery made by Jesus’ disciples along with Mary Magdalene, Joanna, Mary (the mother of James) that Jesus was alive! A special Easter service with emphasis on the Resurrection of our Lord begins at 11:00 a.m.
Come and be a part of our favorite time of year! We believe that the only escape from the condemnation of sin is through the redemption wrought by Jesus Christ, when He voluntarily took upon Him a human body and nature, yet without sin and by His suffering, death and resurrection made full satisfaction to the justice of God for the sin of man; His resurrection being the proof. The blessings of this salvation are given on the grounds of grace to all who believe and therefore confess that Jesus Christ is Lord. It is the immediate duty of all to accept these offers of mercy (John 1:1-3; 14; 3:1-7; Hebrews 10:4-14; Acts 16:30-33; Isaiah 53:5; 1 Peter 3:18; Romans 10:9). Jesus Christ the firstfruits (I Corinthians 15:20). The church age will end with the rapture of the body of Christ, also known as the “blessed hope,” which is the resurrection of the dead in Christ and the rapture of living saints (Titus 2:13; I Thessalonians 4:16, 17). The tribulation martyrs are resurrected at the end of the seven year tribulation. The unsaved of all time are resurrected at the end of the thousand years for the Great White Throne Judgment (Revelation 20:5; 11-15).